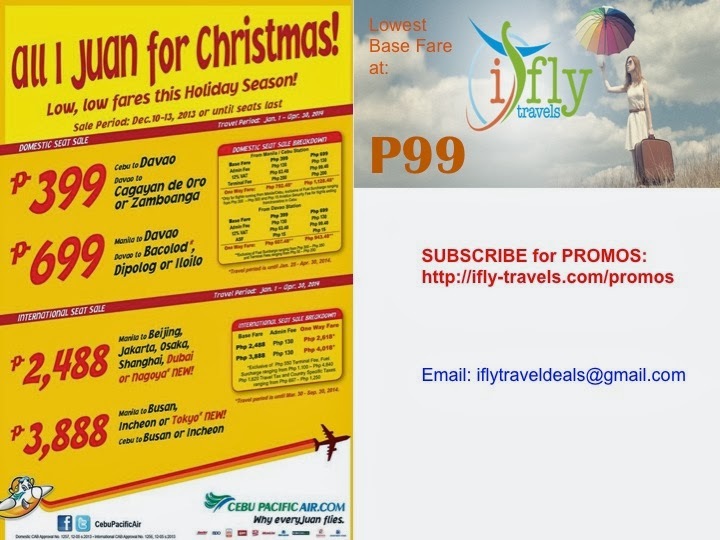 Cebu Pacific Promo Fares: All I JUAN For Christmas! Get our low, low fares this holiday season with our latest #CEBseatsale, starting NOW! Selling Period: Up to December 13, 2013 or until seats last. *PLEASE MIND THE TRAVEL DATES AND DESTINATIONS ON PROMO!